We had the good fortune to sit down with James Brown, author of the recently released This River from Counterpoint Press. We think you’ll enjoy our conversation. Jim Brown is one of the most thoughtful, humble, and articulate authors writing today. Tim Elhajj for Junk Talk: I’m a writer and recovering addict. With the stigma of addiction being what it is, I thought long and hard before publicly revealing my problems with drugs. One thing that really impressed me with your writing was how candidly you discuss your own struggles with mental health, alcoholism, and hard drugs—all subjects that have an associated social stigma. Granted the stigma with some of these subjects has softened in the last, say, fifty years, but do you ever feel the weight of having revealed so much of your life in your writing? James Brown: Yes, like you, I thought long and hard before I decided to come clean about my past in my writing, particularly with my first memoir, The Los Angeles Diaries. Years of alcoholism and addiction had robbed me of my sense of responsibility, ethics, morality, self-confidence and self-esteem. 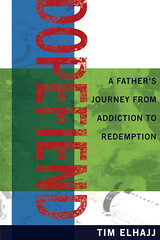 When I was finally able to collect a decent amount of sober time, just over a year, I came to realize that there was no story more important to tell than my struggle with addiction, and I felt that if I didn’t write about it, that I’d never be able to move beyond that part of my life. I needed to tell the truth in order to confront and better understand the nature of my illness, the same illness that destroyed my brother and sister. Their suicides haunted me, and still do. The revealing of my past was painful in the recounting, the remembering, the reliving, the recreating on the page. It wasn’t cathartic, though it did, in the end, give me a sharper perspective and greater understanding of my family and what tore us apart. 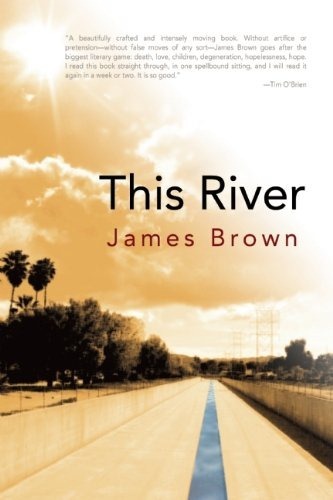 This River by James Brown was recently reviewed by Junk Talk’s own Tim Elhajj, who seemed to enjoy it quite a bit. Read the review on The Internet Review of Books. Buy This River: A Memoir from Amazon. Keep an eye on the site. We’re going to publish an author interview with James Brown shortly. This months’ story came to us through the grapevine. Someone from my writing group saw the story where it first appeared on Laurie Woodum’s blog, I see paradise, and let me know. And I’m so pleased she did. Grace is an amazing story. It’s beautiful and haunting, one of those startling revelations we sometimes get, when we least expect it. Enjoy. Have You Called Your Mom? A public service message brought to you by the editorial staff at Junk. 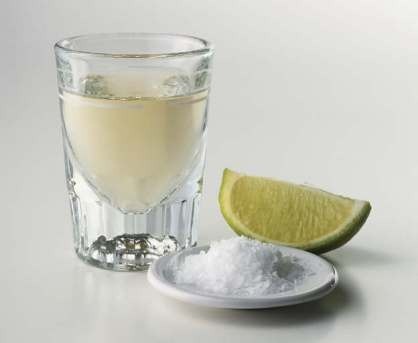 Junk wishes a happy Cinco de Mayo to all our readers, whether abstaining, indulging or somewhere in between.